Please make sure artwork is in CMYK and 300 dpi. Contact art@fluidpowerjournal.com with any questions. Writer Submission Guidelines Please prepare a written proposal of 250 – 300 words as a preliminary query. The proposal should convince us that we should cover the subject and offer us an opportunity to judge your writing ability. Background information and writing credentials are helpful. All unsolicited proposals are sent to us on speculation; replies should be received within eight weeks. 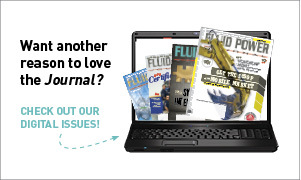 You may send your submission via electronic mail to cnicholson@fluidpowerjournal.com. If you have supporting material or clips of previously published work, you may prefer to send your proposal through the United States mail. OR DROP US A FILE USING THE BOX BELOW.